Oh No! A whole month since I last posted! I am so sorry! It is school holidays at the moment and I should be on top of things like blogging, but don't seem to be! I am linking up with Farley for this month's Currently! LISTENING - The Block has nearly finished for this year! There isn't a great choice of shows to watch on TV at the moment, but I do like watching the drama! I wonder what I will watch when it is finished? LOVING - It is our 2 Week School Holidays at the moment and I am loving time to take it easy! We did some travelling and now are home for a few days - I will share what we have been up to tomorrow! THINKING - I headed into school today and am planning on heading in again tomorrow - hopefully that means I don't have to go in over the weekend and I can stay home! Nothing on, sounds fantastic to me! WANTING - I have LOTS of school materials. Too many different years of teaching too many different year levels has lead to stuff everywhere! My current goal is to consolidate it all, throw some things out and organise so I know exactly what I have. Wish me luck! 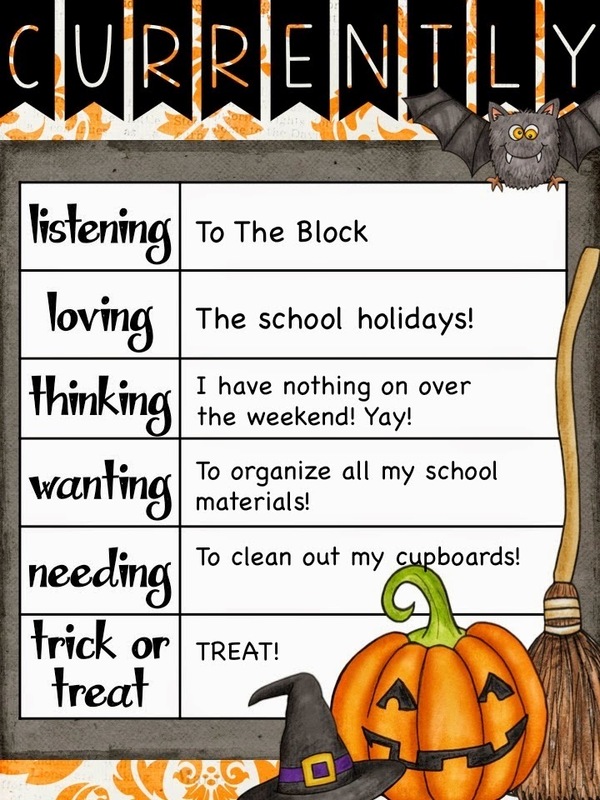 NEEDING - In all my organising of school materials, I also need to clean out my cupboards at home. I am in a throwing out mood at the moment so it's a great time to really get stuck into them! TRICK or TREAT - I have a treat for you today! I have listed my top 5 Best Sellers at 50% OFF! Head on over to the TpT Store to secure your bargain! But quick - you only have 48 hours! Thanks Lucy! I will need it! Got nothing done today! Thanks Wendy! I hope to get lots done over the weekend! I did some reorganizing over the summer as well! Now I just have to keep it neat :) Have a good rest of your vacation! That's the goal next - keep it neat! Thanks for visiting Kaitlyn! Bigger, Better and Now Amazing! P Day for P Week! Graphics by Educlips. ©Design by Christi. 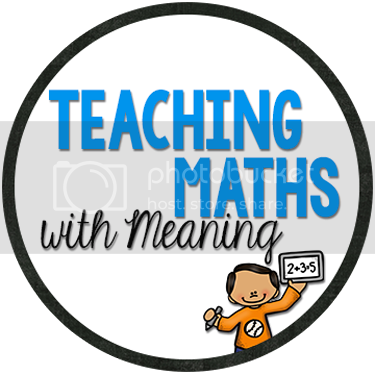 Plaid Apple Ltd.
© 2015 Teaching Maths with Meaning. Blog Design by Design by Christi. Built on Felicity Template by Georgia Lou Studios All rights reserved.